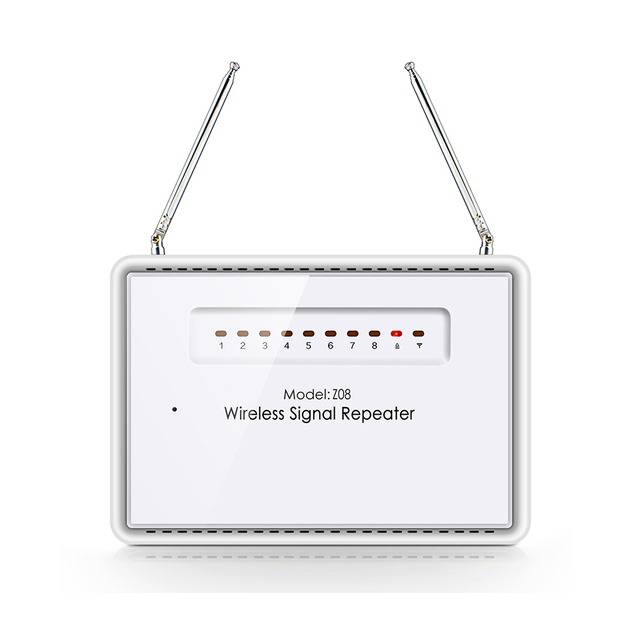 Main function : Retransmit the signal to the alarm host, extend the transmitting distance indirectly,enlarge the control distance of alarm system. 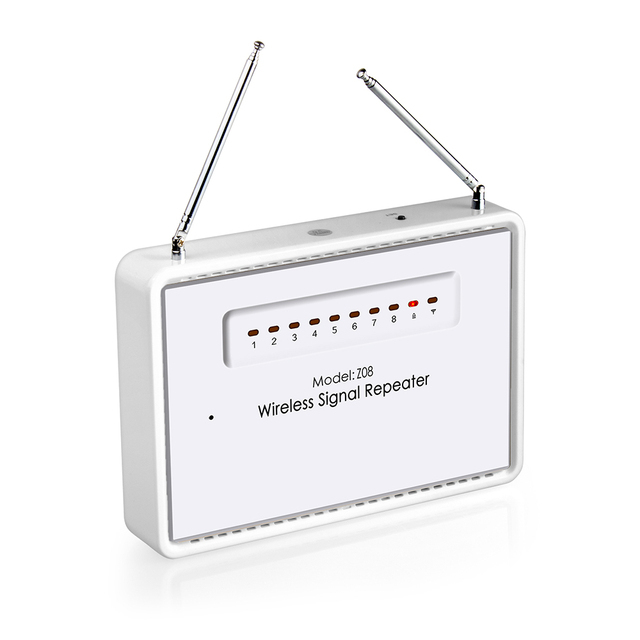 This device also can be used as a on-site alarm. 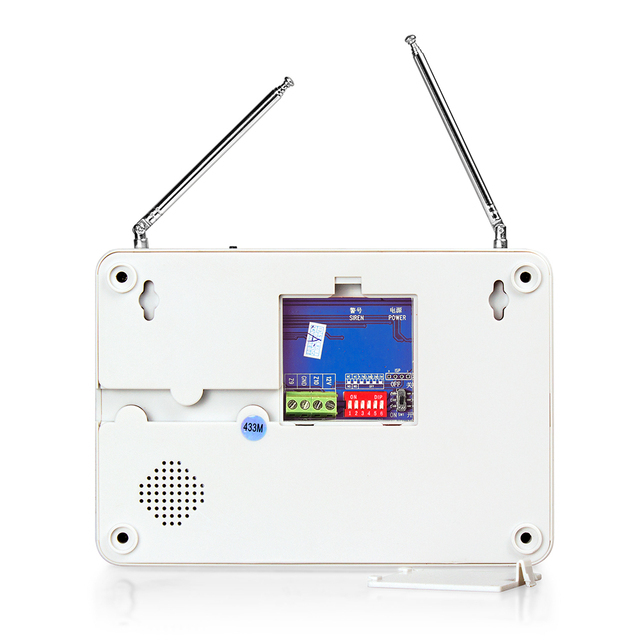 Built-in high quality voice chip, operation with voice prompt. 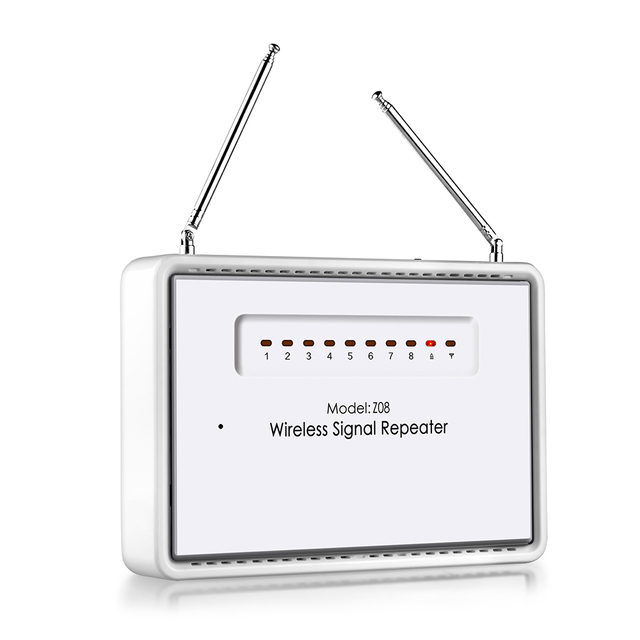 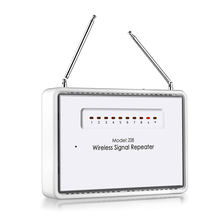 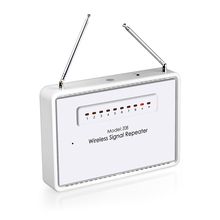 8 wireless defense zones, when 7 and 8zones on alarm status; this device can be used as a on-site alarm. 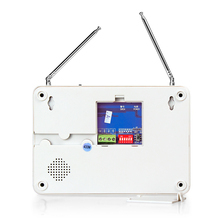 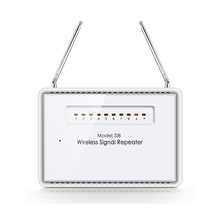 Z9-Z10 is wired defense zones, can be NC or NO alarm .Max support 100pcs wireless detectors and 20pcs remote control.